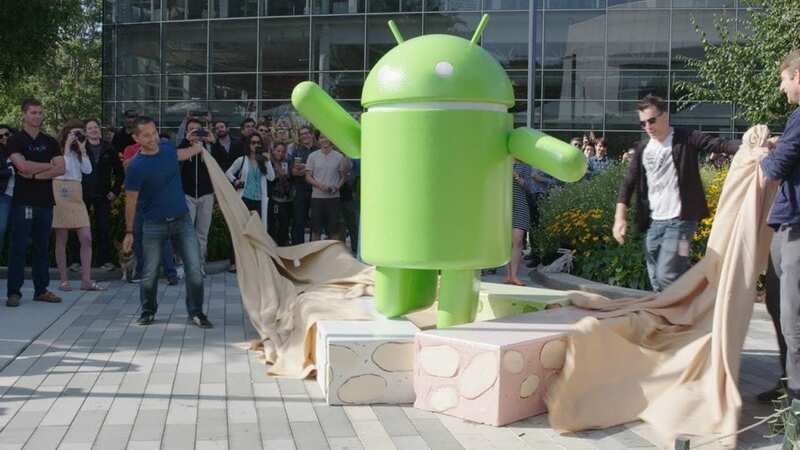 Just yesterday, Google officially (and, quite literally) took the wraps off of the latest version of Android: and behold, it is called Nougat. Not everyone is thrilled with the name, but that’s a conversation for another time and perhaps another blog. What is thrilling, however, is the overall impact Android 7.0 will have on the Chrome OS community. We’ve talked quite a bit about the potential impact of the Google Play Store coming to Chrome OS in the coming months and the game-changing possibilities this presents. And underneath the hood, Android 7.0 actually doesn’t change much about the way Chrome OS handles and runs Android Apps. There are updated APIs that will assist in running apps in the background during multitasking, but the over-arching way apps are installed, run and deployed in Chrome OS will largely stay the same. Basically, the way apps are being handled (from download, installation, and use) in Chrome OS right now is quite similar to how they will be handled in Android after Nougat makes its official splash this fall. So, from an OS-level perspective, there’s not a ton changing. So is there reason to get excited? Very much so! It’s simply in how you look at things. It doesn’t take a long look to notice that the state of apps on Android tablets is pretty mediocre. And that’s being nice. The fact of the matter is Android has grown to global dominance mainly through phones. This is tough to prove with usage statistics as most of the numbers collected simply differentiate between mobile and desktop; Android and iOS. But a bit of logic goes a long way. 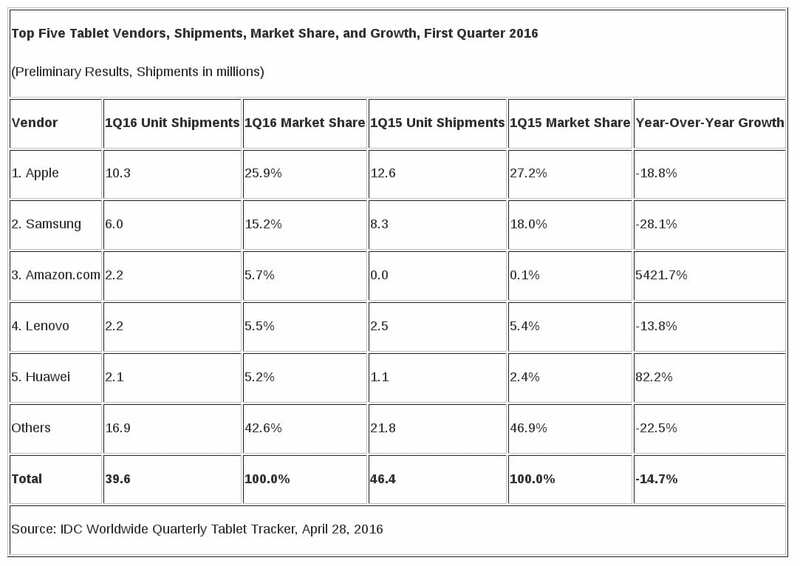 Consider the relatively poor sales numbers of Google’s tablet efforts since the 2013 Nexus 7. Back in 2013, phones were quite a bit smaller and were not encroaching into the tablet space. The iPhone was still tiny. The Nexus 5 was new. It was a different world. One where 7-inch tablets made sense. Since then, Google has launched the Nexus 9 and Pixel C, both to a mixed bag of critical successes and failures; neither being a real success from a sales standpoint. Take a look at the chart below. Almost across the board, we see decline in the tablet market and universally small numbers when compared with Apple’s iPad sales (which are in pretty steep decline as well). All of this to say: Android has been, up to this point in history, a phone operating system first. While Google has made it possible to scale apps across multiple screen sizes (including tablets), developers have seen less and less reason to make use of this apart from making their apps scalable across multiple phone sizes. Why bother with a different layout and UI for tablets if fewer people are buying and using them year over year? Developers are limited in resources just like the rest of us, but a huge limitation is time. Time spent squashing bugs, improving UX and UI, and keeping up with Android updates is quite a bit to deal with from the start. The resource of time is simply too precious to spend doing things few will use or see. So why does this matter for Chrome OS? With the Play Store coming to Chrome OS, we now have a compelling large-screen platform for developers to begin caring about. The single statistic of Chromebooks outselling Macbooks in Q1 of 2016 is enough to show that the larger-screen user-base for developers is getting ready to expand exponentially. This is unprecedented in the life of Android, but the Chrome OS/Play Store piece is only part of the story. With Android Nougat, phones and tablets will see native, OS-enabled side-by-side and windowed apps. Tablets will be able to take advantage of split screen apps as well as free-floating windows. Sounds a bit familiar to what we are seeing in the Developer Channel of Chrome OS on the Flip, doesn’t it? And this is seemingly no mistake. In the fall, when Android 7.0 hits, we should be seeing Chrome OS 53 hitting the stable channel as well. So, in just a few short months, developers will have to consider their app not only on phones, but on tablets and Chromebooks as well. Their apps will have to adjust to take advantage of not only a few set screen sizes, but they will have to be able to exist in windows as well. Though phones won’t likely have the windowed feature, they will use multi-stage split screen, so apps with fixed sizes will all have to adjust. What Google has done here is pretty remarkable. They’ve essentially given developers a single platform to develop a single app that will work across the desktop, tablet and phone form factors. With all this in place, I can’t really imagine a much more attractive ecosystem for app developers than Android come fall of 2016. We can only image what such a platform will elicit from developers in the coming months. I’m not sure about you, but I’m imagining all sorts of things. Productivity apps. Games. Creative apps. The possibilities are mouth-watering. It’s an exciting time, folks. And we’re excited to be here helping cover it!